LETHBRIDGE, AB - The Lethbridge Bulls have announced the signing of returning player, 2B Ashton Roy out of Brescia University. 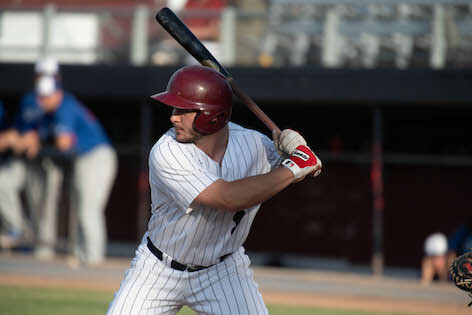 Roy, who calls Garson, Ontario home, returns to the Bulls after a very productive 2018 where he slashed .261/.358/.339, while hitting 3 homers and driving in 29. The most important number to his slash line is his On Base Percentage (OBP), which stood at a whopping .358 for the season and was good enough for second best on the team for players with more than 30 games played, only behind the WMBL Rookie of the Year, Kaleb Warden. Maily batting second in the Bulls line-up, Roy is known to have a good eye and take pitches when he needs to, getting himself on base for the next batter behind him. He creates offence and is a very important piece to this line-up. The lefty-swinging second baseman will be entering his third year in the WCBL after spending one season with the Brooks Bombers in 2017, and another with the Bulls most recently. Hoping for bigger and better things out of the Bulls in 2019, Roy will look to be an important part of the Bulls as they hunt for a WCBL Championship after falling short a year ago, losing out in the first round to the champion Medicine Hat Mavericks.